I am one of those knitters who must tackle one project before beginning another. I know that my personality of loosing interest would cause me to cast on endless projects only to put aside to begin something else. Ultimately never finishing any. Therefore it is a one at a time for me. 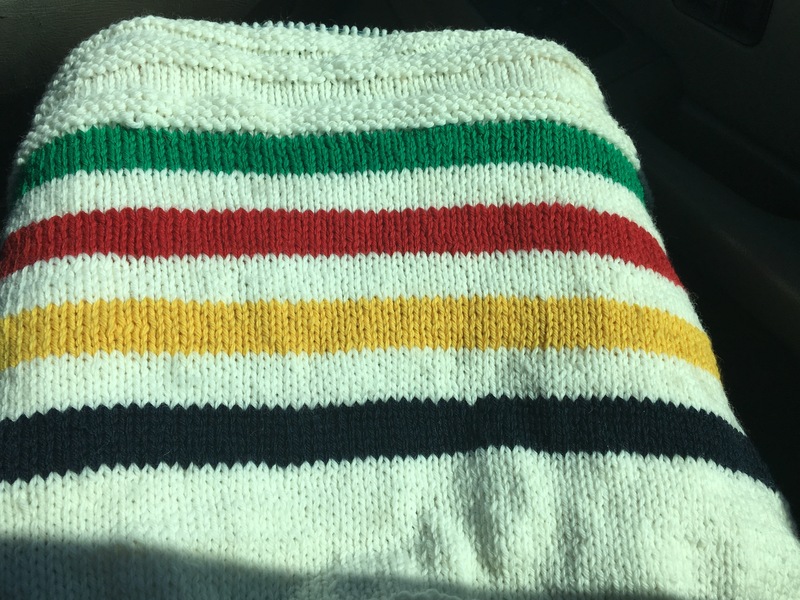 Currently I have been stuck on a Hudson Bay inspired wool baby blanket. I have no idea why I started this except that it was so darn cute. 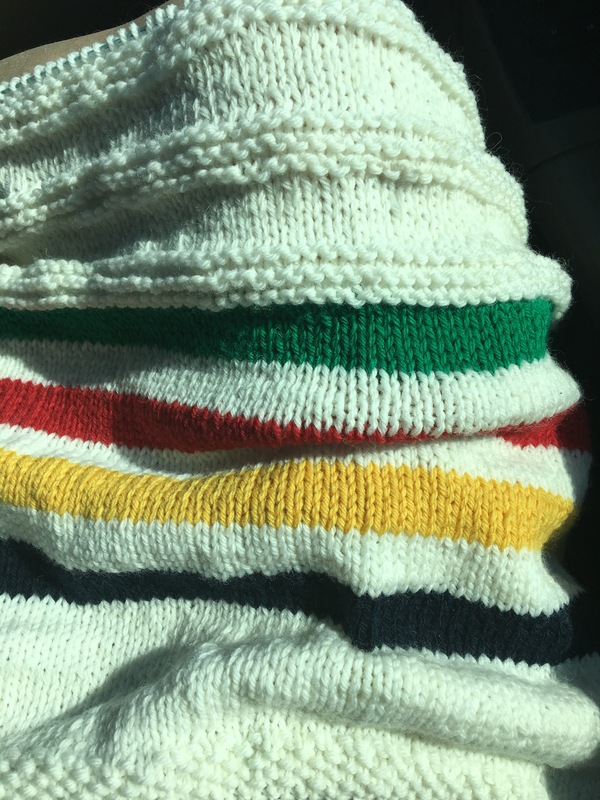 It has become my nightmare knit. It is taking forever! This weekend I took it camping and managed to get in quite a bit of time working on it. I am now officially about three rows over halfway! Now to finish so I can begin all the things I need to get done before fall.